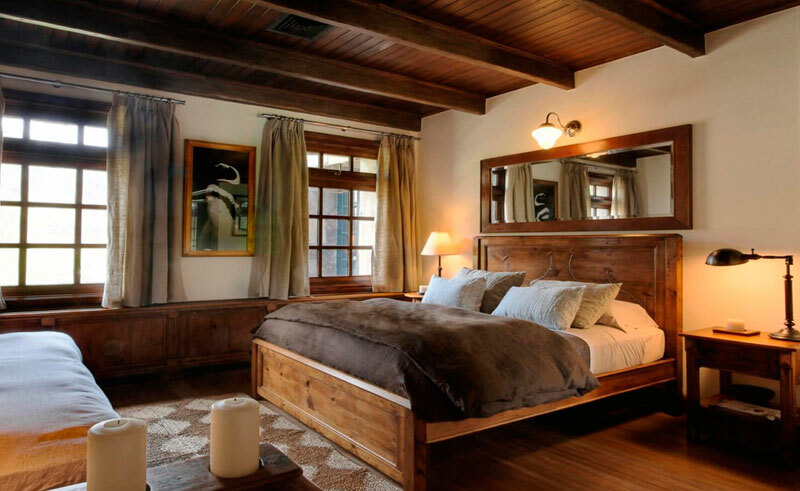 Inspired by iconic National Park lodges from around the world, the Lodge at Valle Chacabuco’s detailed woodwork and original photography of local culture and nature provide a uniquely Patagonian experience. 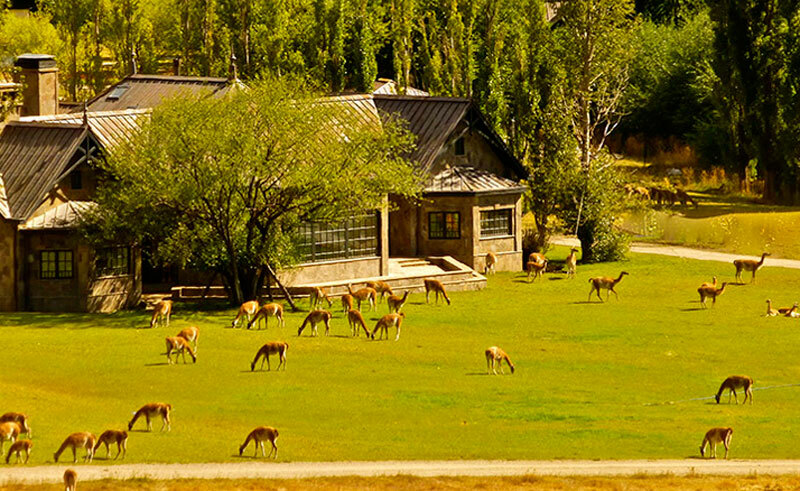 The lodge is located in the newly designated Parque Patagonia National Park, a short distance off the scenic ‘Carretera Austral’ route. 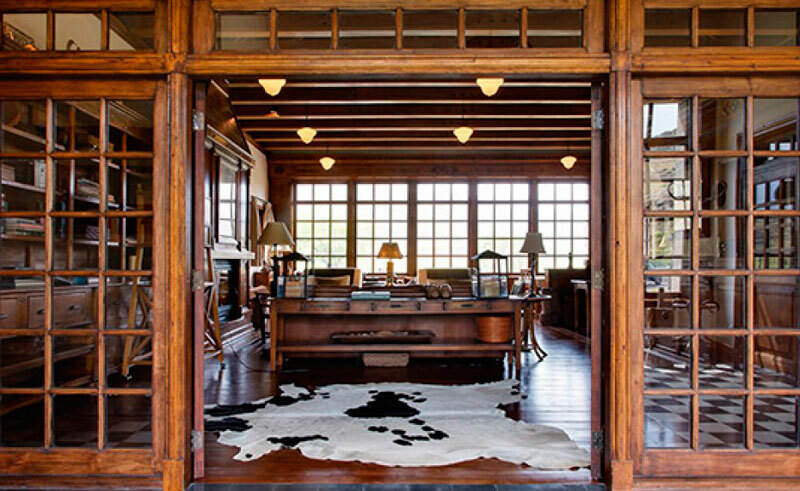 The central living and dining room are the ideal place for resting after a day of travel, hiking, or exploration. 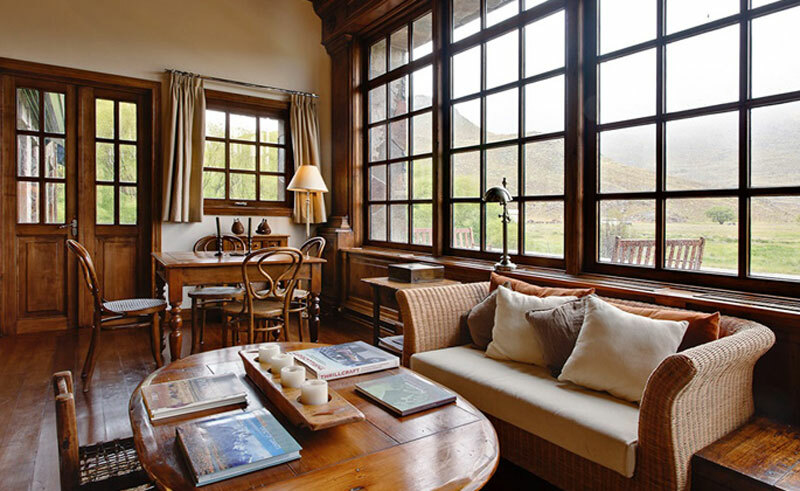 Drink regional wine at the living room bar and enjoy views of looming Mount Tamanguito to the south through expansive paned windows. 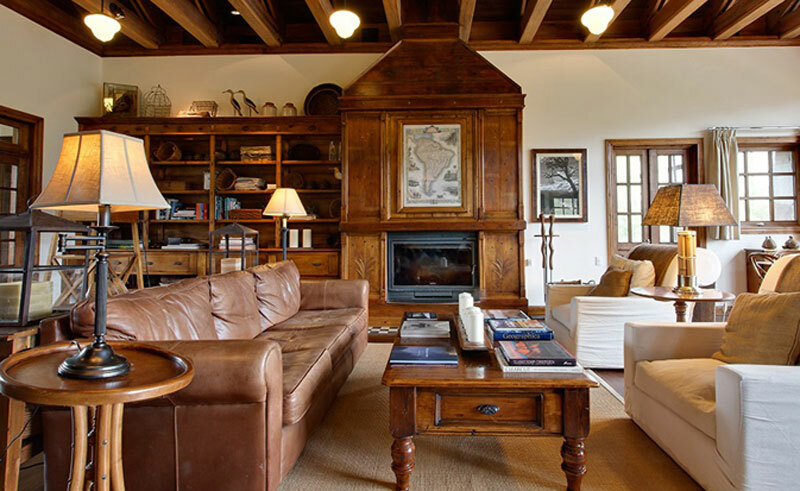 Nestle into cosy sofas, lounge by the fire, or venture out onto the patio at night to view an endless spread of stars. The lodge’s commitment to the environment is central to the guest experience. 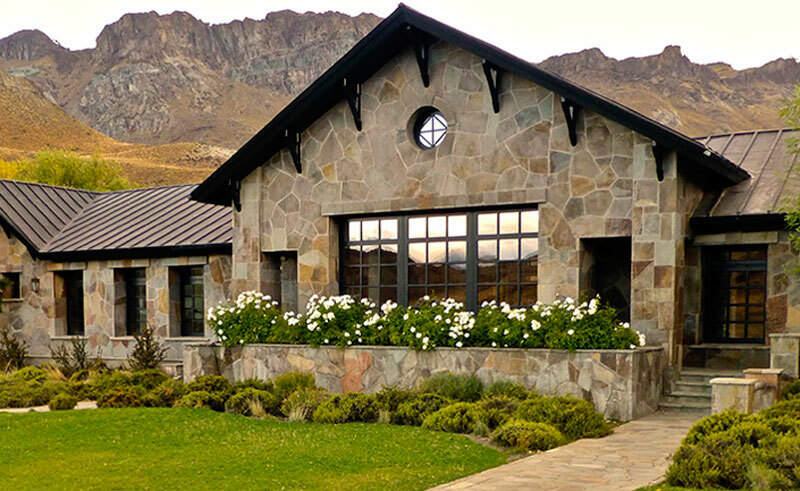 Complementing its surroundings, the Lodge is built from stone quarried in the Chacabuco Valley. 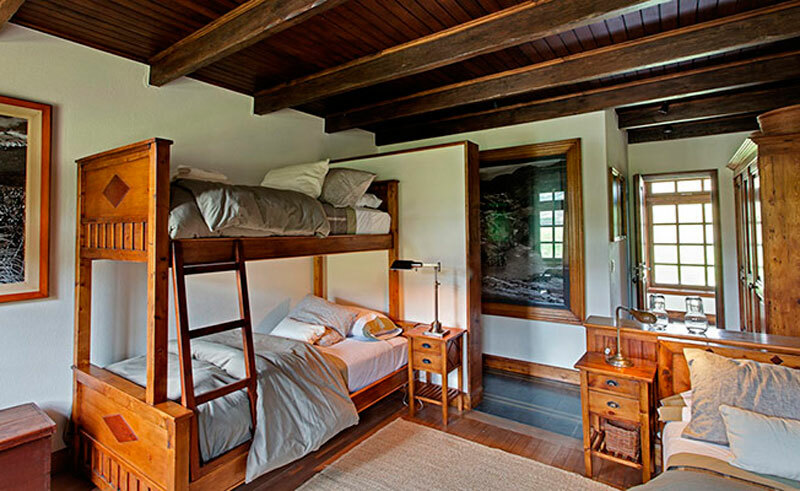 Its high beams and floors come from recycled and refurbished wood, and its lush grounds welcome frequent and personal wildlife encounters. 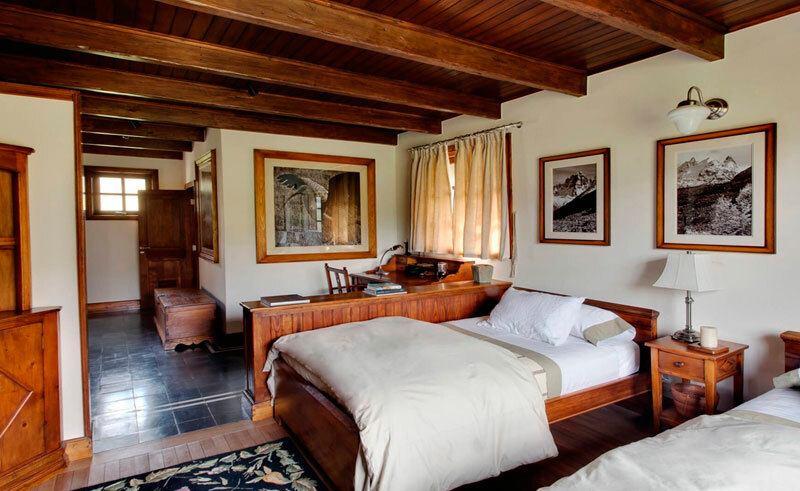 In keeping with the rest of the lodge, each of the six en-suite rooms celebrates attention to detail and the beauty of the surrounding environment. Please note: This is a seasonal hotel and is therefore closed between the months of May and September. While Chile’s southern Patagonian region is famous around the world for the magnificence and splendour of its highlights such as the Torres del Paine National Park, its northern neighbour, while equally incredible, is far less well known.